Weekend Puppy Raisers are an integral part of NEADS, and complement our weekday dog training program, which takes place in 8 prisons in Massachusetts and Rhode Island. NEADS dogs live in prison with their assigned Inmate Handler, and learn basic and advanced task work and obedience. Weekend Puppy Raisers pick up their assigned dog from the prison most weekends and socialize the NEADS dog: introduce dog to sights, sounds, and experiences that are not available in prison (for example: traffic, children, grocery stores, and sporting events). Below, please find answers to some frequently asked questions. Thank you for your interest in becoming a Weekend Puppy Raiser, and welcome to NEADS Nation! Q: How does NEADS support its Weekend Puppy Raisers? A: The Puppy Program Assistants supervise the puppy raisers and are your first point of contact if you have any difficulties with socializing or reinforcing the training of your NEADS dog. The Puppy Program Assistants conduct monthly training classes for all raisers. After attending a puppy raiser orientation and before being assigned a NEADS dog, we ask you to attend two classes: this is to give you a chance to meet puppy raisers, ask questions, and get a real feel for our program and training methods. The Puppy Program Assistants and a raiser from each prison compose the Puppy Raiser Council. Council representatives are mentors and able to answer many questions about being a puppy raiser or the prison. Your council representative will accompany you for your first prison pickup and your first field trip with the NEADS dog. Once a month, each representative also facilitates a field trip for their fellow raisers from their particular prison. The Puppy Raiser Council produces the e-newsletter The Canine Chronicle, written for and by the NEADS puppy raiser community. On behalf of NEADS, the Puppy Raiser Council also conducts a yearly survey of raisers, asking for feedback on how our program can be improved, and then implements the suggestions as appropriate. list of dog related books. Within the NEADS website, we have a portal for puppy raisers, which includes a calendar of events suitable for field trips with the NEADS dog, all issues of The Canine Chronicle, and copies of all needed puppy raising forms and supplements. NEADS staff and the council representatives are available by email and, in emergencies, phone. Q: Will I have to buy food/equipment for the dog? A: NEADS will provide the food, equipment (collar, leash, gentle leader, cape/backpack), any/all medications and veterinary care, and of course the dog! You will provide a safe and loving home, and some supplies, like food and water bowls, high value treats (like kosher hot dogs or freeze dried liver), one or more Nylabones, dog waste bags, and an appropriate sized crate. Some expenses are tax deductible. See https://www.irs.gov/Charities-&-Non-Profits/Contributors for more information. Q: How much contact will I have with the Inmate Handler? A: The least amount of contact will include written communication on the weekend reporting sheet. Some prison institutions also permit regular face-to-face interactions with the inmate so you may briefly inform each other of training issues or the progress of the NEADS dog. All interactions with inmates are for limited amounts of time and are subject to be monitored by prison staff. All prison institutions we are partnered with require CORI (criminal offender record information) background checks of prison visitors, including puppy raisers. Some institutions also require puppy raisers to attend a prison orientation. Q: What breeds of dogs do you use? A: Most NEADS dogs are Labrador Retrievers, and we occasionally work with Golden Retrievers, Glabs (purebred labrador/purebred golden retriever cross), Labradoodles (purebred labrador/purebred poodle cross), or Golden Doodles (purebred golden retriever/purebred poodle cross). Service dogs are laid back and eager to please, and much of their task work involves retrieving or a retrieving-related skill, so that is why NEADS works with these breeds. For our hearing dogs, there isn’t one particular breed that is best for the skill set, so NEADS often selects candidates from animal shelters. NEADS trainers select candidates based on the dog’s innate initiative and receptiveness to sound, and these dogs are usually of mixed breeds, weigh less than 50lbs, and have high energy. Q: Can I name my puppy? A: Unfortunately, no. When you meet the NEADS dog they will already have a name. Most of the NEADS dogs are named through the Name a Puppy program. If you are interested in naming a NEADS dog, you can find more information here. Q: I already have a dog/cat, can I still be a Weekend Puppy Raiser? A: Yes, absolutely. However, we require that you have had your pet dog for at least one year before becoming a puppy raiser: this ensures that you know your dog well. Pet dogs cannot have contagious behaviors like alert barking, prey drive (chasing cats or squirrels), or aggression. Even though the NEADS dog will have supervised and limited interactions with your pet dog, the NEADS dog can learn these behaviors and will be released from our program if they do so. Pet dogs must also be spayed/neutered. NEADS dogs are not allowed to stare down or chase cats. In some cases, the best way to manage the NEADS dog is to keep your cat in a separate part of your home on weekends. All dogs and cats living in the same household with a NEADS dog must be treated year-round with flea/tick preventatives, and all dogs must also receive heartworm preventative year-round. Q: I have children, can I still be a Weekend Puppy Raiser? A: Yes, absolutely. Children under the age of 18 will have handling restrictions, and must always be supervised when interacting with the NEADS dog. We welcome your entire family to attend orientation and the monthly classes. Q: Can I share the responsibility of raising a puppy with someone else? A: As consistency is essential, there should only be one primary handler for the NEADS dog. 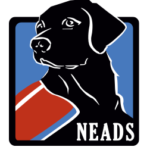 The NEADS dog should stay in the same household, and the primary handler’s family members are welcome to help socialize the NEADS dog if they also attend an orientation and the monthly classes. Q: Can I take the pup to the dog park? A: No, NEADS dogs are never allowed in dog parks. While some parks are safe, others may have aggressive dogs. Introducing a NEADS dog to other dogs at the park can be dangerous, as the dogs that are already there may be a pack, have established the area as their territory, and may be aggressive towards a newcomer. Other dogs who attend the park may not be vaccinated, and so there is also a risk that the NEADS dog could pick up diseases or parasites at dog parks. Q: Can I bring my puppy to daycare/boarding? A: NEADS dogs are not allowed to go to daycare/boarding. The NEADS dog goes out with the Weekend Puppy Raiser to work on house manners, socialization, and training. These weekends in a home environment ensure that our dogs get the socialization they need, like visits to the grocery store, movie theaters, the mall, restaurants, and other typical household activities. Please remember that we want people to be more important to the NEADS dogs than other dogs. Q: Do I need a large yard to become a Weekend Puppy Raiser? A: No, NEADS dogs do not require a large yard. The NEADS dog does require access to outside areas for play, exercise, and toileting, which is all done while on leash. When outside, the NEADS dog must be on leash and supervised at all times. A short leash is fine for toileting needs, but a long leash (75 ft.) is required for play and exercise. Q: What happens at the end of a dog’s training? A: NEADS dogs are either deemed unsuitable to be a service dog and are released from the program, or they are matched with a client. NEADS dogs can be released from the program at any time for medical or behavioral reasons. Common causes for a medical furlough include chronic or genetic conditions. Common causes for behavioral furlough include alert barking, prey drive, and fear of novel objects or stimuli (people in funny hats, loud noises). If a NEADS dog is released, he is then listed for adoption. We receive hundreds of applications each year for our Furloughed Favorites – they make great pets! NEADS Trainers carefully screen applicants and will select an adopter who best meets the dog’s personality and needs. 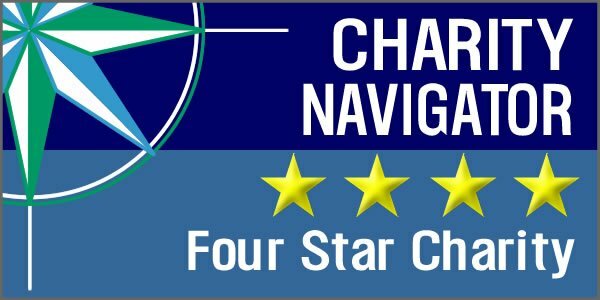 When the NEADS Trainer assesses the dog and knows he is ready to be matched with a client, the trainer and the Manager of Client Relations meet, and together match clients to NEADS dogs based on the client’s needs and the dog’s strengths and personality. Clients may need a dog who does exceptionally well in city environments or a dog who is comfortable working next to a power wheelchair. If the NEADS dog loves children, the Manager of Client Relations and trainer may try to place him with a child or in a home with children, or with a client who has regular contact with children (Service Dog for the Classroom). After the NEADS Trainer and Manager of Client Relations conceive the perfect match, the client is notified. The client and the NEADS dog then come to our campus for a two-week training period, where they become a team. We will always give the Weekend Puppy Raiser two weekends to say their goodbyes to the NEADS dog if the dog is furloughed or matched. Q: Can I adopt the NEADS dog if he gets furloughed? A: Puppy raisers are only sometimes considered as candidates for adoption, and are never our first choice. We discourage our puppy raisers from adopting because adopting a Furloughed Favorite who was released for behavioral reasons will prevent and exclude you from raising another NEADS dog. It can be difficult to say goodbye to the NEADS dog you have bonded with and helped train, but we hope that you will remember that being a Weekend Puppy Raiser is an emotionally rewarding experience and choose to help us raise another NEADS dog. Q: What’s the next step to become a Weekend Puppy Raiser? A: If you haven’t already done so, complete and submit an application. If you’re a good fit for our program, Puppy Program Assistants will invite you to an orientation, where you will learn more about the specifics of being a Weekend Puppy Raiser. Q: How soon will I be assigned a NEADS dog? A: Wait time varies from a few short weeks to several months or longer. Wait time depends on several factors, including how many NEADS dogs are at the prison you’ll be working with and how many puppy raisers are already working with that prison. While you wait, we encourage you to read the manual, become familiar with our training terms and techniques, and to continue to attend classes and group field trips. Previous issues of The Canine Chronicle and books from the suggested reading list are also valuable resources. You can also scout your local area for suitable field trip destinations.